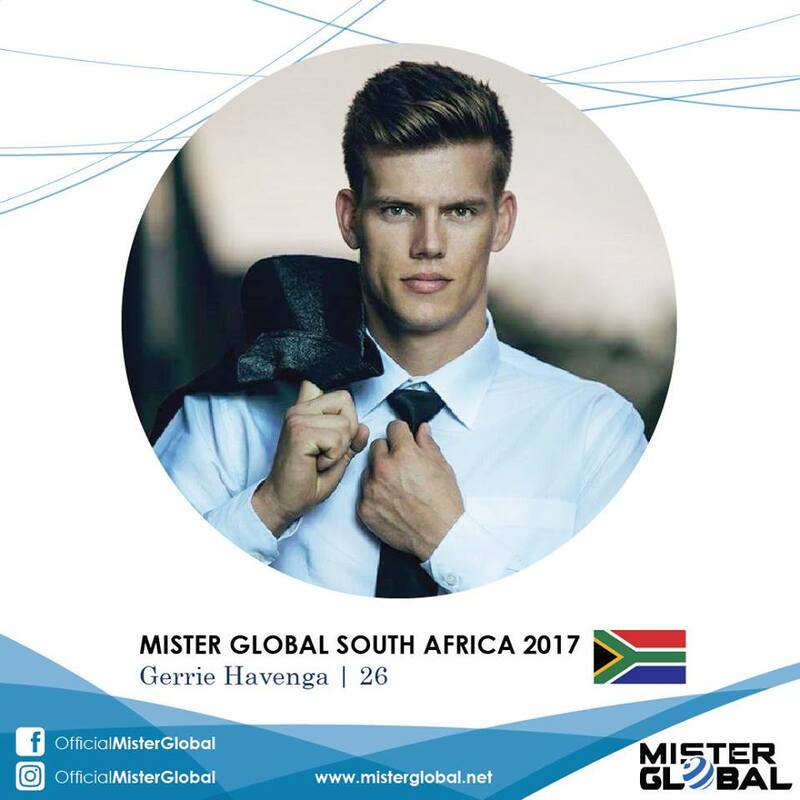 Gerrie Havenga will be representing South Africa in the Mister Global 2017 contest to be held in Chiang Mai, Thailand on May 20, 2017. Gerrie is a part time photographer. His passion is to capture buildings, patterns, nature and wildlife. He has graced the fashion runways many times for well known Italian designer Peter Bondesio from Bondesio Couture. Gerrie is an in-house model for Bondesio and has also done quite a few fashion shoots. 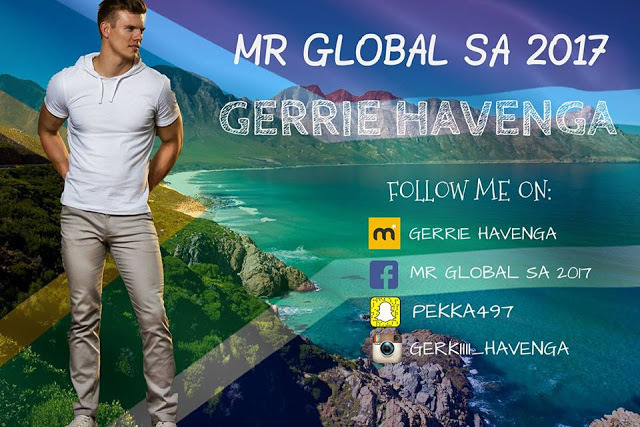 #SouthAfrica #MrGlobal2017 you have won our hearts. We are so proud of you.